Yes, they are a fruit. Corner of County Hwy J & County Hwy K, Chippewa Falls • 720-1663 • www.autumnharvestwinery.com • The Chippewa Valley’s first winery, Autumn Harvest produces nine varieties of wine including three apple wines using fruit from the adjacent John McIlquham Orchard. Apple cider and hard cider is also available. They offer complimentary wine tasting everyday, patio seating to enjoy libations by the bottle or glass, gourmet foods to sample, and a gift shop. Open everyday 9am-6pm through Halloween. 8966 County Hwy X West, Chippewa Falls • 720-0192 • Hawkins’ features a rustic farm setting featuring antique displays, a 10-acre corn maze, a petting zoo, and variety of country gifts. A haunted walk is set up for the kids. Activities include stuffing your own life-sized scarecrow ($10, materials included). In season, pick out your pumpkins, squash, and gourds. Corn bundles and straw bales are also available. Enjoy Don Lexvold’s horse-drawn wagon rides on Saturday and Sunday, starting at noon. Open Sept. 19 through Oct. 31, Fridays 1pm-5pm and Saturdays and Sundays 11am-5pm. Call to make weekday group appointments. 12756 132nd St, Chippewa Falls • 288-6348 • This family-run and family-oriented farm features 120 acres of homegrown vegetables including potatoes, corn, tomatoes, peppers, melons, beans, squash, pumpkins, gourds, and more. For the few items of produce they don’t grow themselves, Klinger’s Market looks to other local growers to provide apples, carrots, onions, honey, jams, jellies, and cheese. Its 17 greenhouses also provide one of the largest selections of plants, herbs, flowers, and shrubs in the area. They have a kids-friendly corn maze and straw maze as well. Open every day, 9am-5pm. S9475 Lowes Creek Road, Eleva, WI • (888) 878-4166 • www.lowescreektreefarm.com • Immerse yourself in fall colors as you pretag a Christmas tree, purchase a pumpkin, or take part in the fall nursery stock sale. Open throughout October, Monday through Saturday 9am-6pm, and Sundays 10 am-5pm. N7240 810th St., Elk Mound • 879-5179 • www.pleasantvalleytree.com • Pleasant Valley’s Fall Harvest activities kick off on Sept. 26 with the opening of their corn maze, haunted forest trail, petting zoo, play areas, pumpkin catapult (the mighty Jack-o-Launcher), gemstone mining, and wagon rides. 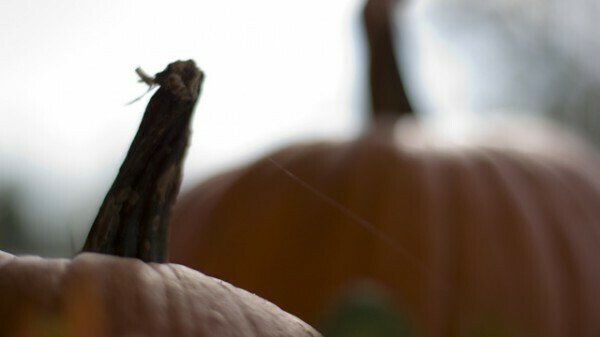 Pick out a pumpkin and peruse the other fall produce including apples, squash, gourds, and Indian corn. A concession stand is on hand if you get the munchies. Keep an eye out for their live music. New this year are Annie the Apple Slinger, an expanded magical woodland maze and play area, and a 40-ft. “Spooktacular Slide.” Their country store features unique home décor and gourmet foods. Open everyday 10am-6pm from Sept. 26 through October.